I spend a lot of time online. So I do a lot of shopping there, too, because I almost never have time to just go out and browse actual SHOPS. ANYWAY. Online shopping. I love shopping online, and I especially love the second part of the process - getting stuff in the mail. It's like a secondary shopping rush that you don't get at the till at Old Navy especially when you don't actually get to buy anything. I really need to let this go. 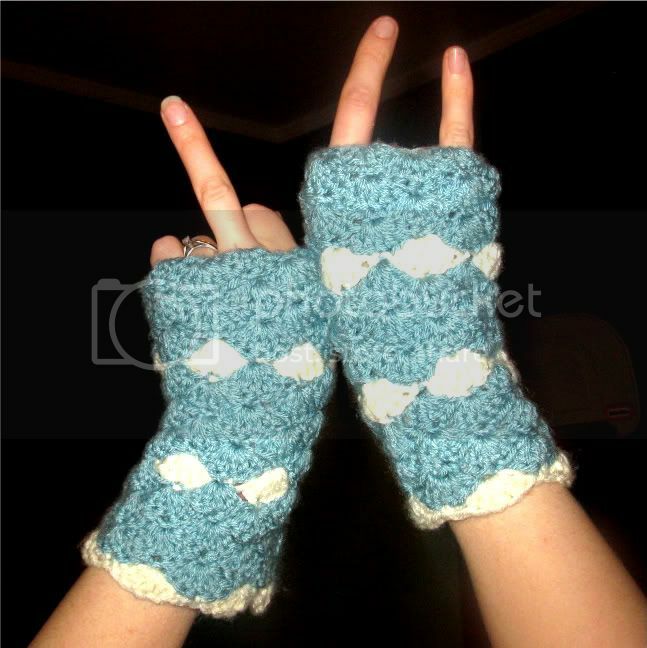 I got these armwarmers a little while ago, from the lovely Lisa's etsy shop, So So Belle Boutique. She custom made them for me, and threw in a super cute coffee sleeve, too. Possibly I'm a little old to be rockin' the armwarmer look, but I don't care, they're hawt. Rock n' Roll with just enough Pretty. So, go! Shop! And then tune in again and I'll post a necklace, or possibly a book. Maybe some kind of footwear? I don't know, I can never remember what I ordered.